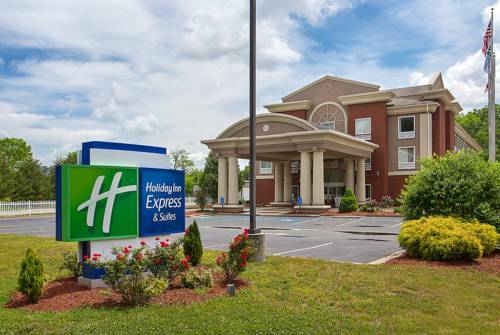 Tucked away in the heart of the beautiful Appalachian Mountains our hotel has something for everyone. Whether you are coming to raft the Nantahala or attend a business meeting we offer our guests a home away from home. Our hotel is a mere two miles from downtown Murphy where you can find the best restaurants in town. Browse through the shops before dinner and admire the historic buildings. Don't feel like eating out then enjoy Mama Mia's a local Italian restaurant that provides delivery services for our guests. Hiking, fishing, zip lining, horseback riding, rafting or just visiting local waterfalls makes our area perfect for those who enjoy being outdoors. Located just 30 minutes from the Tail of the Dragon our location is also perfect for those riding their motorcycle to town. Visit in the Fall and enjoy an array of colors like you have never seen painted across the forest surrounding our hotel. While taking in the changing leaves visit the Fall Festival located at the John C. Campbell Folk School only a short drive from the property. Our location is also perfect for those planning a visit to the new Harrah's Cherokee Valley River Casino. After a long day of fun and games you can retire to our hotel where all the sounds of town fade away. Our non-smoking hotel has many amenities such as free hot buffet breakfast, free Wi-Fi, indoor heated pool & fitness center. Use our business center to stay connected or turn everything off and just enjoy nature. We hope to see you soon! Franklin got the nickname "Ruby City" because the land around it is rich with gems. The exhibits include the World's Largest Sapphire (385 pounds), plus human skulls and a shrunken head from somewhere. "Sculpture of Steel," built by a steel company in Nashville, a memorial to 9/11 victims.